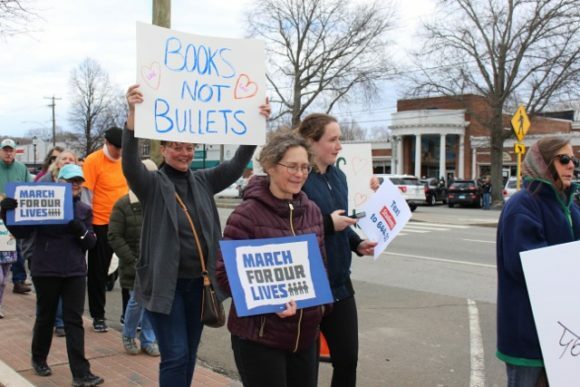 All photos by Valerie Chapman. 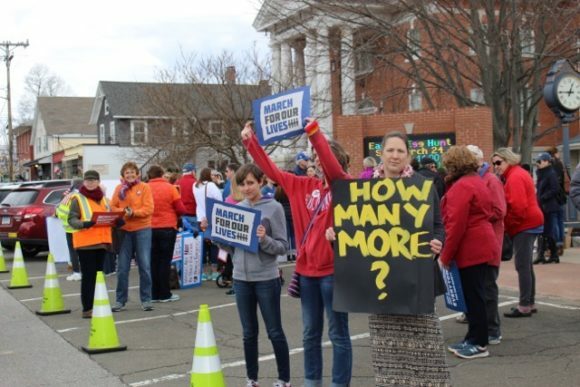 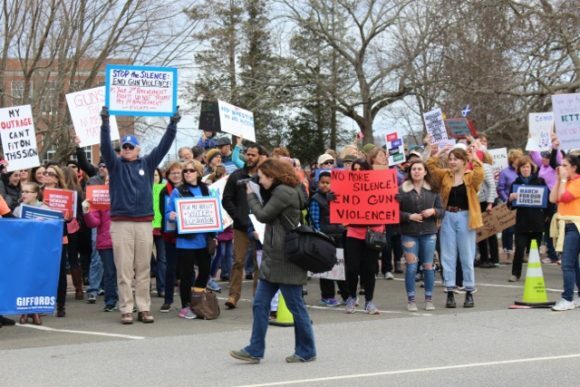 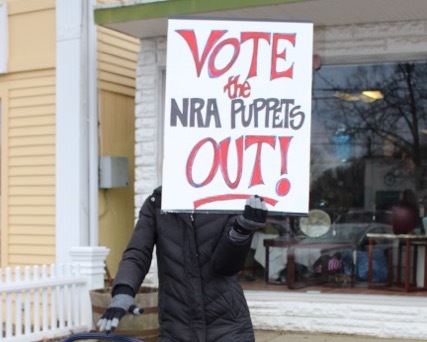 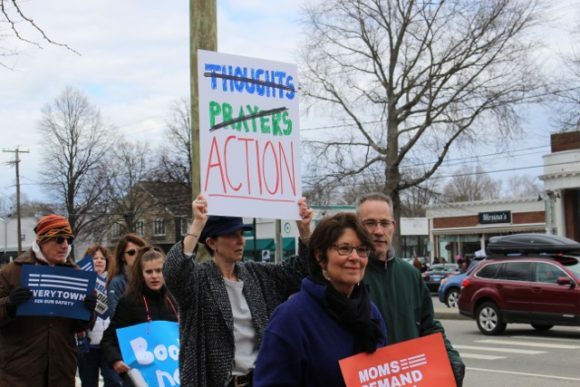 People of all ages from across southeast Connecticut gathered on Main Street in Old Saybrook yesterday to march in support of action against gun violence and in solidarity with some 800 other marches taking place worldwide. 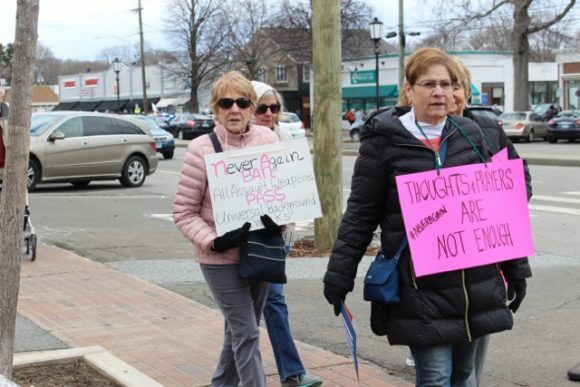 Those who had marched in the January 2017 Women’s March in Old Saybrook estimated that the crowd for yesterday’s event was substantially larger than the 2017 one.